GSIDC | Development of Government Village School Playground at Assonora in Bardez taluka. Development of Government Village School Playground at Assonora in Bardez taluka. • Plot area : 13,854 sq. m.
• Construction of playground and spectator stand. • Multipurpose hall, gymnasium, etc. M/s. D. S. Kulkarni Developers Ltd.
Construction of Government Primary School at Tonca, Camrabhat in Tiswadi taluka. Construction of temporary rooms at GPS Moira. 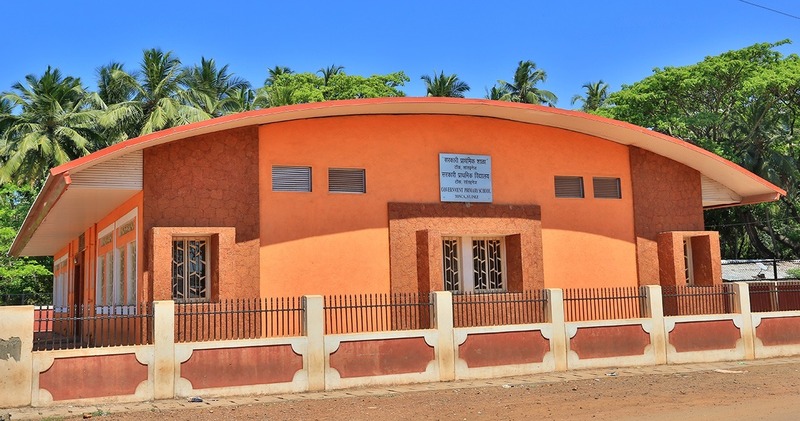 Upgradation / Renovation of Government College of Arts, Science & Commerce, Sanquelim, Goa.